Once upon a time there were a bunch of Dutch musicians who wanted to play the good stuff. They wanted soulful Jazz-Funk with expensive arrangements and energy. So they hijacked a studio and did it. The time is now and the group is Tristan. Since releasing their debut album ‘Full Power’ in 2014, they have been known for high-quality Soul und Jazz-Funk tunes which are literally breathtaking. They stormed Europe. They still are. They are brilliant. Amen. When Toto member Steve Lukather heard Tristan’s first album he said it was “the best of the seventies” brought to the present. And he was wrong. No, of course he was right. But this is far more than seventies sound. Tristan creates a full course meal by adding many elements. The seventies spice is only one of them. Seventies plus killer arrangements plus stunning compositions plus brilliant instrumentalists equals Tristan. 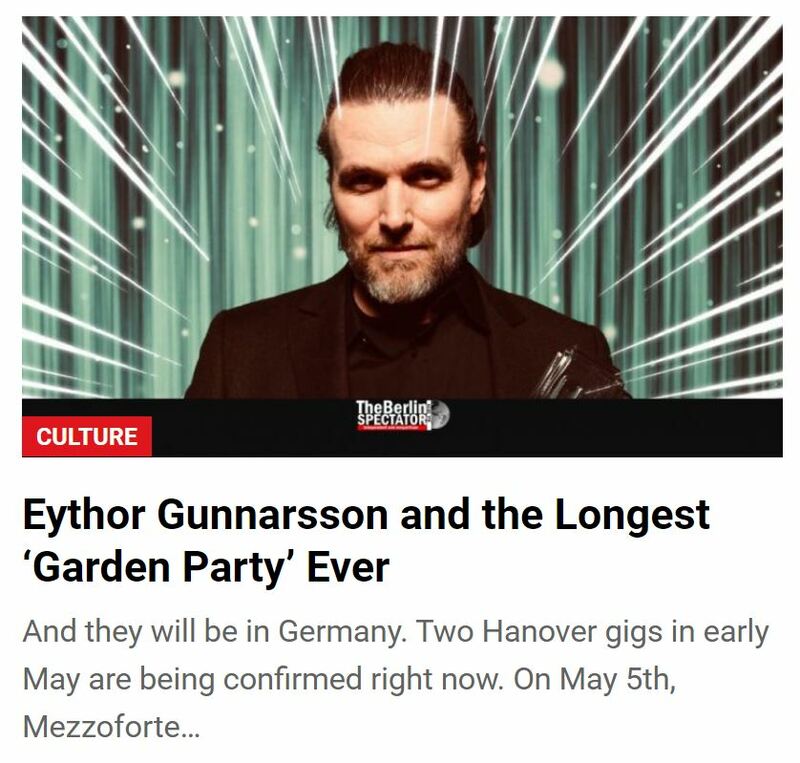 They also have a weapon they hopefully have a permission for: Her name is Evelyn Kallanse, a former musical singer with an unbelievable voice and a stage presence which deserves that word. She is the sun in the solar system called Tristan. Bass hero Frans Vollink was educated at several music academies. Afterwards he played for quite a few fellow artists, including Randy Brecker. By the way: In Tristan’s official biography, the latter trumpet hero’s name appears suspiciously often. Sebastiaan Cornelissen absolutely kills it on the drums. He used to study at The Conservatory in funky Amsterdam. Mr. Off-Beats does not only abuse his drum set rather often with different projects, but also teaches at the The Royal Academy of Music. Guy Nikkels was 10 when he started playing the guitar. And he delivers it all, including excellent solos. His funky rhythm guitar is very convincing too. He studied at the Royal Conservatory in The Hague, right at the North Sea beaches, and played with everyone. 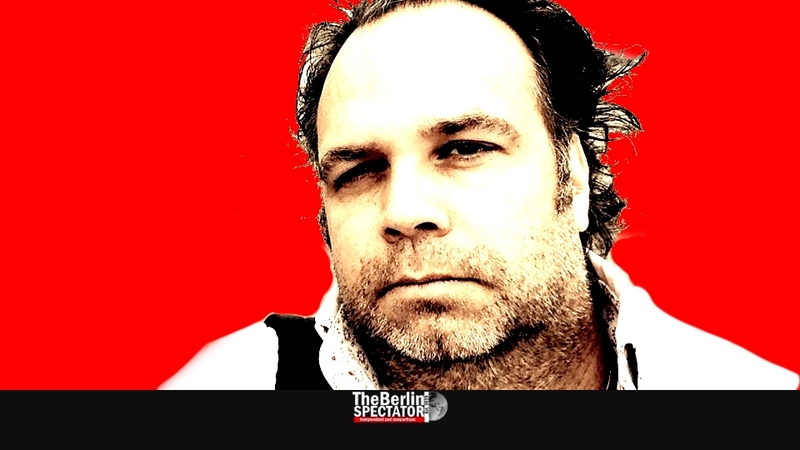 The mastermind behind Tristan is Coen Molenaar, a genius pianist, composer and arranger. He recorded and toured with many fellow Jazz, Funk, Fusion and Soul greats. They must have fed him sheets of music for breakfast as a child. The thing is that Coen Molenaar’s unbelievable arrangements stick out. The same applies to his playing. Where other Jazz-Funk bands might sound “too obvious” here and there, especially when it comes to arrangements, Tristan absolutely kills it. Tonight, Tristan will be performing in Bremen, tomorrow in Mühlheim and then back home in The Netherlands. But far more gigs in Germany, the United Kingdom and elsewhere are listed on their touring schedule for 2019. The band is introducing its new album ‘The Spice of Five’, which will be released as soon as tomorrow. Because Coen Molenaar was not busy enough today, traveling, celebrating his birthday and performing in Bremen, Imanuel Marcus asked him a million questions. 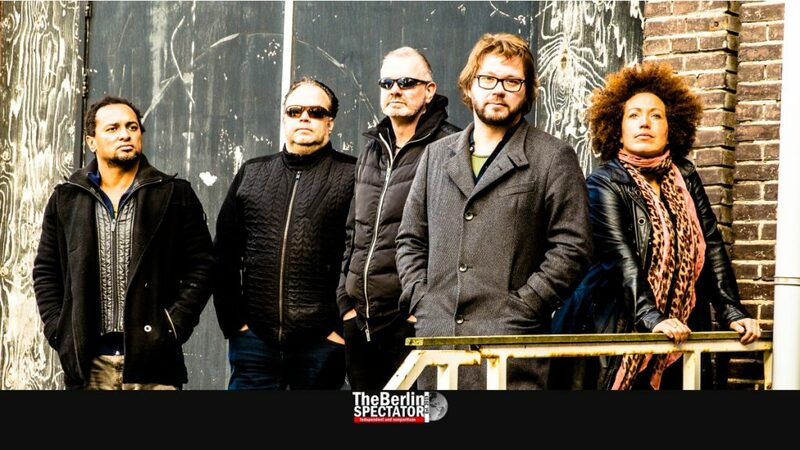 The Berlin Spectator: Some great funky stuff has come from The Netherlands in the past decades, including Rickey and The Frog, Seven Eleven and other acts. Then, in 2014, a brilliant, soulful Jazz-Funk bomb literally exploded when you guys did your first album. How did you feel when you unpacked the album for the first time? Coen Molenaar: It’s always great to unpack your new CD for the first time. 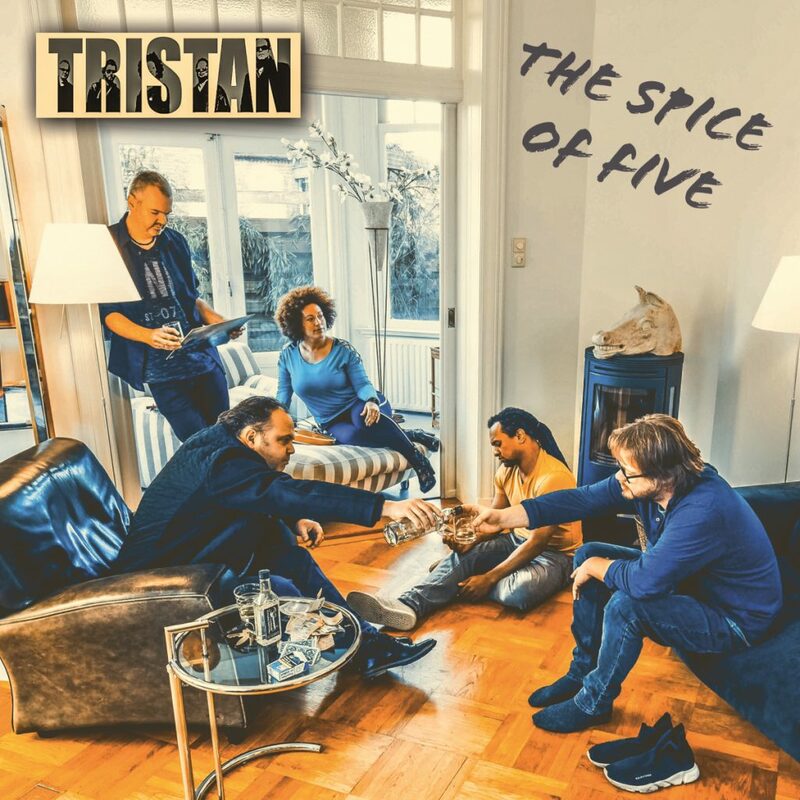 And certainly, for the first album release of Tristan, the experience was more than special. Besides, ‘Full Power’ was also released on vinyl, which made us feel really proud. That first CD had been a long journey. Finding the right people took quite some time. But in the end it was worth the wait. The Berlin Spectator: ‘Full Power’, the title track, contains all the ingredients the ‘Real Music’ community wants, including Evelyn Kallansee’s breathtaking voice, the backing vocalists, the instrumentalists in the actual band, an excellent brass section and even strings. The composition itself, the off-beats and the surprising turns are your work as the the composer and arranger. How did you do it? Is a piece like ‘Full Power’ like a puzzle of many elements you add? Coen Molenaar: Actually we do the writing of the songs with three band members; Sebastiaan Cornelissen, Frans Vollink and me. The fun thing is that all three of us write totally different songs, but when playing them together they become one. All the flavors together blend into a new tasty dish. Full Power is a song by Frans. As you mentioned, it is a song with a lot of musical ingredients. It also represents the vibe or feeling we had back then. Starting out with a high-energy level, intense grooves, heavy arrangements, and actual ‘Full Power’. The Berlin Spectator: Composers, artists and bands have influences. Especially in your case those would be interesting to establish. Do they include Charles Stepney, Maurice White and George Duke? Coen Molenaar: Of course we have our influences, and for sure the ones you just mentioned. But I think we all have different musical backgrounds, from Classical music to Jazz, from Fusion to Blues, from Funk to Rock. I must say that when we are travel or record at the studio we play a lot of different kinds of music. For the third CD we listened to recorded Doobie Brothers concerts, for example. But there’s always a link to the lovely music of the 1970s and 80s. There is a big variety : Al Jarreau, Incognito, The Brand New Heavies, Earth Wind & Fire , Chaka Kahn, Toto. Personally, as a keyboarder, I love the late George Duke because of his great mixture of Jazz and Soul , and his tasty, good sounding piano and synths. His diversity in styles of music is an inspiration. The Berlin Spectator: Just when people may have thought you would never create anything comparable ever again, because ‘Full Power’ was so powerful and energetic, you pulled it off again. ‘Supersize my Sunshine’ became another killer tune. Again it was Soul and Jazz-Funk at its best and the kind of arrangement we have not heard since Earth, Wind & Fire released the ‘Faces’ album in 1981. How did you develop the idea of this tune? Coen Molenaar: The initial idea for the song developed while I was driving through London with the band. We just turned on the radio and noted how many songs had uplifting lyrics including the word ‘sunshine’. It was also a nice warm and sunny day. So we decided to write a song with that kind of vibe in the back of our heads. I think that one turned out very well in both versions. We have the original on the CD but made a kind of a ‘Chaka Kahn 1980s’ remix which also turned out very cool. The response to this song was very positive. People felt the energy and ‘sunshine’ of this track. The Berlin Spectator: You managed to take quality and energy into the Soul Charts in the United Kingdom. Not only that, but your first two albums hit the first place. Then you started touring like crazy. What kind of reactions did you get at your gigs, in the U.K. and elsewhere? Coen Molenaar: For us it was a dream come true. Playing the music you like, recording it, and getting this kind of a positive response from music lovers from all over the world was just wonderful. What else can you wish for? When we first came to the U.K. and found out that people really knew our music, they were actually telling us what their favorite songs were, was really a gift. The response to our live concerts is always very positive, people seem to like the energy, grooves and complexity at the same time. At our first concert in Japan, the audience even recognized the intro of a song when we started our show. They started cheering immediately. That kind of experience really gives you goosebumps all over. It is like a warm bath when you enter the stage. The Berlin Spectator: Now you are about to release ‘The Spice of Five’, your fifth album, or your fourth studio album. What kind of an album is it? Coen Molenaar: For the first time, we decided to bring it down to the five-piece core of the band, also what the recording and writing part is concerned. The idea for that concept was born while touring in the U.K. last summer. There we mostly tour with just the five of us. It made perfect sense to make a record without all the extras. No extra guest appearances, horns, backing vocals, strings, or percussion. The songs were recorded pure, live and closer to the sound we have when performing on stage in the five-piece setting. I think ‘The Spice of Five’ is a natural and logical follow up. It makes perfect sense recording our fifth album this way, after being together in this five-people line-up for five years. All albums have had a certain general theme, and all made perfect sense at that time in our development as a group. So, this album is maybe more pure and transparent than the ones we recorded before, even though all of us still like the big production stuff as well. But for now, this approach works great, everyone in the band likes it. We are already thinking of the sixth album which will be for sure with the five of us. And maybe even closer to the 1990s The Brand New Heavies sound. The Berlin Spectator: You uploaded some rehearsal videos of songs from the new album. I listened to ‘Hands Up’ about 40 times today. What a great tune! The way Evelyn sings the Chorus is just brilliant. So is your Latin piano solo and the whole thing. Coen Molenaar: I am glad you like that song and the sound on the rehearsal videos. The horns will for sure be back at some point. The Berlin Spectator: Tristan is a big project. But you have more of them. Which other acts do you work with? What do you do when you are not composing, arranging, rehearsing, recording and touring with Tristan? Coen Molenaar: Besides Tristan, I have a trio with Sebastiaan and Frans called On Impulse. It has more of a Fusion tradition, all originals and mostly instrumental tunes. We released three records so far. A new one is on the wish list for next year. My own Conrad Miller Trio started out two years ago. We recorded an album entitled ‘Sounding Silence’ for the German label Mochermusic. This trio is more a traditional acoustic piano act. It includes an upright bass, a grand piano and a South American drummer, Enrique Firpi, who spices it up with his Latino grooves. I’m also still touring the globe with the legendary Dutch guitarist Jan Akkerman. I’ve been doing this for 17 years so far. With Jan, we recently recorded a new album which will be released this fall. Tristan’s website can be accessed here.